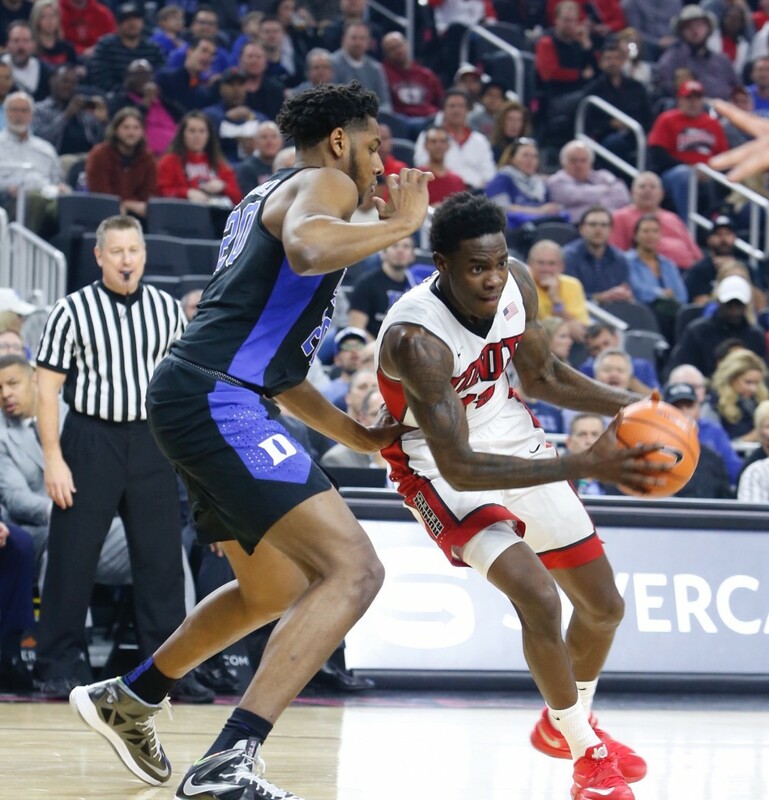 UNLV announced Thursday that forward Dwayne Morgan, who hasn’t played in the past 10 games due to lingering hip and shoulder injuries, will miss the rest of the season. The 6-foot-8 junior last played when the Runnin’ Rebels were blitzed by Duke, 94-45, back on Dec. 10 at the T-Mobile Arena. He finished with five points, five rebounds and three turnovers in 25 minutes of action in that contest. Morgan, one of just three holdovers from the Dave Rice era, averaged 9.3 points and 7.3 rebounds in eight games this season including season highs of 19 points and 14 rebounds in a 89-81 victory at Southern Utah on Nov. 30. UNLV will apply for a medical redshirt with the NCAA for Morgan at the end of the season. UNLV (9-10, 2-4 Mountain West) hosts Air Force (9-10, 2-4) on Saturday afternoon at 3 p.m. at the Thomas & Mack Center. The Falcons, who lost at Nevada, 83-76, on Wednesday night, and the Runnin’ Rebels enter the weekend in a four-way tie with San Jose State (9-8, 2-4) and Utah State (8-9, 2-4) for last place in the Mountain West. Air Force is just 2-23 all-time against the Runnin’ Rebels in Las Vegas including a 108-102 triple-overtime loss to UNLV in the opening round of the Mountain West Tournament last March. The teams have split the last eight regular season contests.